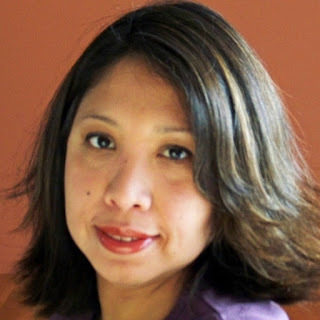 Great Impressions: Our April Guest Designer AND Blog Candy! Guess who arrives tomorrow as our April Guest Designer?! Woo Hoo....We are so lucky to have her! This gal is beyond amazing! her mouth watering designs. AND she is sweet as can be! Be sure to come back tomorrow and leave her a little welcome love. If you can't wait until then you can visit her on her blog "Believe". To celebrate Giovana's arrival I am giving away one of our Spring stamps. telling us what you love most about Spring. The winner will be announced here on Saturday. Great Impressions Stamps is having a Design Team Call!! Our newest stamps have arrived!! Time to get your shopping on! more inspiration and some fun giveaways. Finally, our April monthly challenge begins this Sunday, April 7th. Our Top Pix from last month will be announced! Don't miss it! Thanks for your continued support my friends! The best thing about spring is definitely the increased amount of day light. Oh, I just love all the sunshine and you can start to feel the warm also. Greetings from sunny +1'C Finland! I love how the birds are announcing that Spring is coming and the fruit trees in our garden are in full bloom. And of course I love the warm and sunny days that promise a long and hot summer. 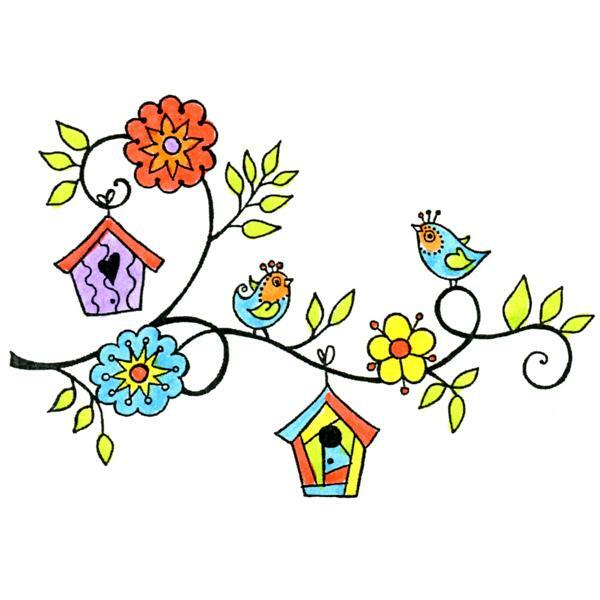 Love the fun bird houses stamp! For me the best thing about Spring is the new growth you on plants everywhere. A sneak peak of the promise of wonderful blooms and leafy greens to come. Thanks for the chance to win this gorgeous stamp. what i love about spring is the fun colors ! feel so alive! Everything looks nicer and the people are nicer. Thanks for the warm welcoming Jenny!! i love the fresh air the birds chirping the motivation to go outside cause it nice out. i love the promise of summer to come. I love playing outside with my kids on a spring day... nothing better! I love being able to play outside with my grandchildren in the spring. Welcome to Giovana. Her blog is fantastic. I love the coolness, yet bright sunny days, birds chirping and longer days. Spring represents new life. I love all of the new growth color. The grass and the trees are beautiful this time of year. Add in a some flowers and I am wowed. Welcome Giovana!!! I just visited your blog and your projects are amazing. Cant wait until Thursday to see what you have in store for us. What I like about spring is The warm sunny days. The blooming flowers and the colors that bloom out of nowhere. I love waking up with the windows open and hearing the birds singing. I also love all the flowers and trees that put on their best colors and share it with us. I love relaxing in the hot tub watching the birds make their nests and listening to their singing! Spring is my favorite time of year. I get to play in the garden tending my old shoots and planting new ones. I love being able to see the flowers beginning to bloom with all their colorful glory. Conrats Giovana! Love the warmer weather and I love all the beautiful wild flowers that start to grow around the house! I love all the fruit trees in my yard being in bloom! (Hope for no frost!). Spring is my most favourite season of all. I just love the longer days and the warmer temperatures but what I love most of all is the tulips!! I love tulips (well I'm Dutch) and am looking forward to going to the Tulip Festival in Ottawa ON Canada next month. What a great stamp. I love being able to open the windows in the spring and hear the birds chirp. What I love most about Spring....The birds chirping incessantly..the sun coming out a lot more...the smell of new green grass being cut..the fact that I don't have to "bundle" up in three layers of warm clothing to go to work in the morning! Spring is my favourite season. I love seeing the first flowers bloom. My crocuses have begun to flower. and the daffodils are up and should be blooming soon. Yeah! I love the warm breezes and the spring bulbs that bloom....that's my fav. Spring is feeling of rebirth and freshness!